Sony Xperia Z series is now one of top leading series of Sony in smartphones. Already this lineup includes pretty high-end solution including Xperia Z2. No doubt, every brand is trying to overcome the competition and that’s why they are launching a phone in every two or three months. Last month only, Xperia Z2 made its entry in the market and now rumors are confirming the early release of Sony Xperia Z3. 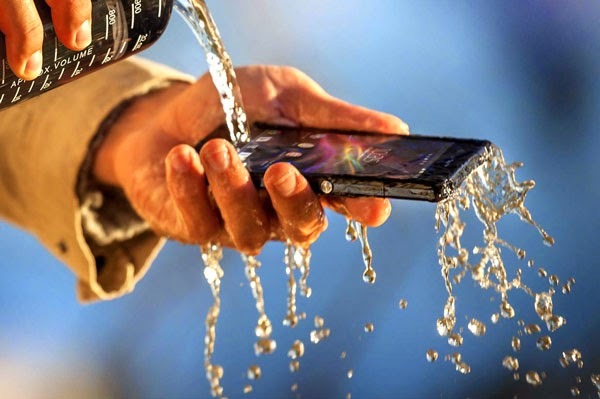 Sony Xperia Z3 would be the beast smartphone to have next generation system on chipset i.e. Snapdragon 810. This is the very first 64-bit chip processor from the Snapdragon. Also, the chipset would allow the support of 4GB RAM, on-board 128GB memory and 4K-resolution display support. Yes, all these things together may appear in Xperia Z3 and it would be verdict in all-leading phones of the 2014. If you are expecting the phone to appear in the market in next two months then you might be wrong, as Xperia Z2 is not too old in the market. It is just recently released but few of the web sources are claiming the early release i.e. later July or early August. But as per the possibility Z3 may make its entry in the month of September or October. Xperia Z series is already popular because of its massive camera sensor and yes Xperia Z3 would maintain the features and specification of this lineup. In the market few of the smartphones have really good camera sensors for example, OnePlus One smartphone has really good sensor and Analyst are comparing its quality with the DSLR cameras. So, you can expect what would be happening in next 6 months. You won’t need to carry heavy cameras on your trip; your phone would do all things. Already, Xperia Z2 has pretty good camera quality and Z3 would take it to another level. Competition pressure is not only for the Sony, other leading brands like Samsung and HTC are also the part of it. Recent releases like HTC One M8 and Samsung Galax S5 are pretty good phones in the market but not revolutionary. Now market needs something revolutionary and every brand is trying to do something similar. Early release rumor is not just related to Sony Xperia Z3. But there are other upcoming beasts, which might be released earlier, then their possible date of release. Few weeks ago, there were rumors regarding the Galaxy Note 4 that it might make its entry in early August while other members of Note series has appeared after the month of August every year. And similar is leaked for Google Nexus 6. You can’t expect those rumors to be true but still the possibility and reasons mentioned are little worth believing. Let’s see how would be the final shape of all the most awaiting smartphone of 2014 including Galaxy Note 4, Xperia Z3, Nexus 6 and Galaxy S6. There is still lot more to discover, don’t forget Apple will also release its next generation iPhone i.e. iPhone 6 in couple of months.